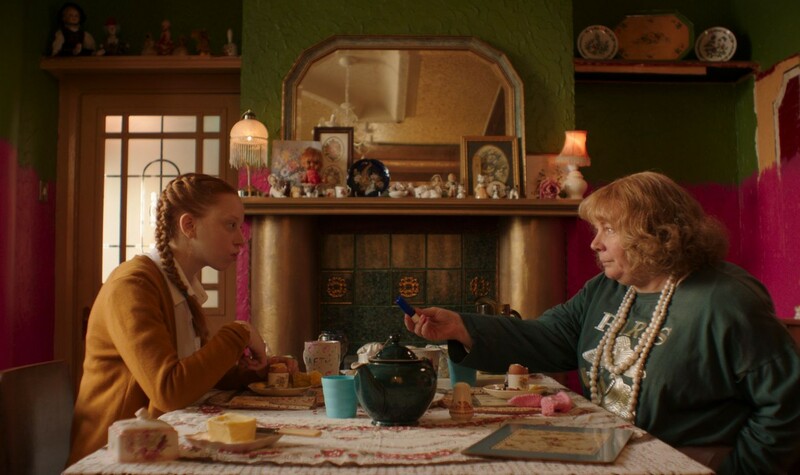 Mother Lyn (Joanna Scanlan) and daughter Iona (Lily Newmark) move to a new town in an attempt to reinvent themselves. As Lyn battles with mental health and Iona becomes the target of bullying among her classmates, they both retreat into fantasy worlds. What was once a close relationship between mother and daughter now declines into self-aggrandizing lies captured by a whimsical, agonizing fall from grace. An award-winning director of short films, Deborah Haywood makes her feature debut with this perceptive and harsh coming-of-age film. Deborah Haywood is a British filmmaker, known for her innovate short films, which take place around Swadlincote, the village where Haywood grew up. After making her first short film LADY MARGARET, she was named as one of Screen International’s 'Stars of Tomorrow' in 2007, and her film 2011 film SIS received several awards, including Best Short at the Soho Rushes Film Festival. PIN CUSHION is her debut feature film. "The hazy visual style and lush greens and saturated flower colors of Haywood’s film are reminiscent of John Everett Millais’s Ophelia painting, which is a clue from the start that Lily and Iona will meet with tragedy."